Ashley Nail at info@dbsquared.com with your request. 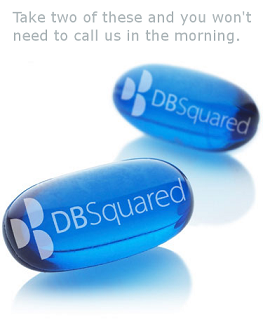 DBquared is pleased to share with our stakeholders that we just completed a very successful quarter. Revenue was significantly increased in every line of business. More importantly we saw greater success of our customers during this period. We have recently added new staff, increased our marketing and social media outreach and are engaged in partnership conversations all with overriding objective of bringing our clients even more comprehensive solutions.